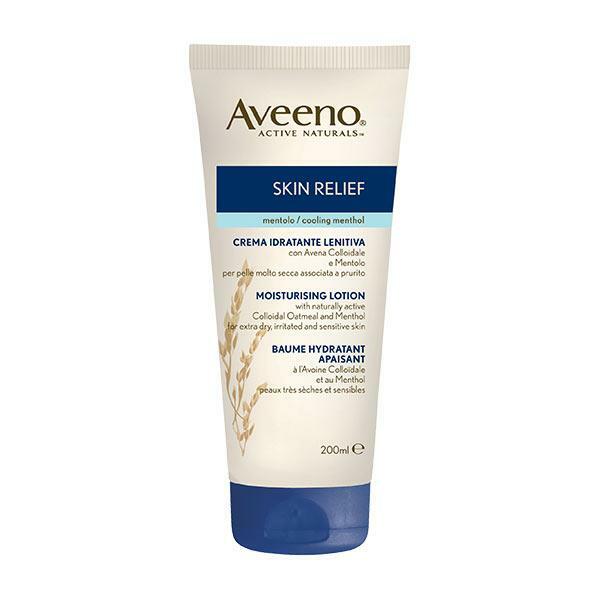 Aveeno Skin relief 24hour Moisturising Lotion is a dermatologist recommended and clinically tested, therapeutic oat formula to relieve itchy, extra-dry skin. Suitable for extra-dry, irritated and sensitive skin, including eczema. Fragrance free.Paraben free. Use regularly to relieve skin irritation caused by dryness and help maintain skin health. Aveeno Skin relief 24 hour Moisturising Lotion is formulated with naturally Active Colloidal Oatmeal, known for its soothing properties, and cooling Menthol, to reduce irritation associated with dry skin. Provides immediate relief and moisturisation for 24 hours. Fragrance free, paraben free. Suitable for sensitive skin.